When you think of a deer, rabbit or squirrel, you immediately visualize something that’s adorable and fuzzy. These are the animals that many animated characters are based on. Endearing wild animals in movies or television shows amuse kids and even grown-ups as they sing and dance. But however charming these animals are, the reality is that you don’t want them living in your yard or house. Wild animals can be the cause of frustration or a huge financial problem. A rabbit eating your precious ornamental plants may be a source of headache and annoyance. But more serious issues can be brought on by wildlife. So many kinds of animals can easily spoil the plants that you have painstakingly planted and cared for. If you have pets, you know how animals, even domesticated ones, can be destructive. When they are playful, they can dig holes in the ground that damage plant roots or bulbs. They might also choose to sprawl on the amaryllis or tulips that are just beginning to bloom. It can be frustrating to see these things happen. But remember that wild animals can wreak more havoc compared with family pets. 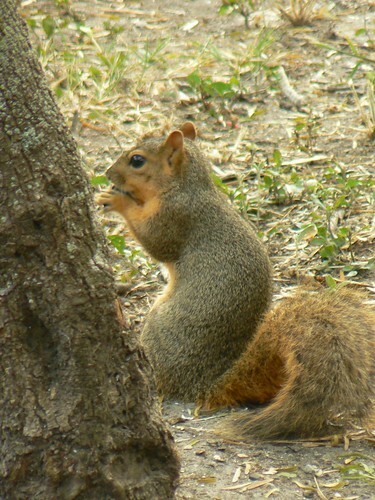 For instance, squirrels eat just about anything they can get hold of, such as bulbs and seedling. Raccoons can demolish all of your garden crops as well. All in all, with wildlife present and currently scurrying all over your home and yard, your garden and vegetable plants, landscape, and even your water garden are not safe. Problem wildlife can get inside your home or property through existing holes or they can create new openings. When nesting or scavenging for food, these animals will probably chew through electrical wires, pipes and insulation. Once these things are damaged, you’d suffer a less-than-efficient HVAC system that’s going to cost you a lot of money to run and restore. Then, there’s also the issue of fire hazards. Once electrical wires get damaged, these could become sources of short circuits, which could then lead to devastating fire accidents. Because these animals normally live in the wild, you really won’t have access to their health records. So, it’s scary to live with a raccoon knowing that you might get bitten and contract rabies. Generally, wild creatures transfer disease-causing bacteria or viruses through bites. But you might also catch illnesses or even parasites when coming into contact with feces, urine, saliva and other waste products that are from a wild animal. Your home is a huge investment, and if it is damaged, its value decreases. When there are wild animals living inside or outside your home, your house can become a liability. For one, wild creatures can damage your house’s foundation. They can chew through wood and build nests inside the foundation as they burrow through the wood that’s keeping your residence standing. Skunks, squirrels and raccoons are also known to create holes through walls and ceilings. Claire Trent is a freelance blogger and a home improvement hobbyist. She blogs about problem wildlife and offers tips on how to manage and control these animals. She also writes for Affordable Pest Control, a company that provides wildlife trapping services.